So why has it taken me so long to get in on the coral lip trend? The truth? I’d just not found (or looked for) the right coral for me… until now! 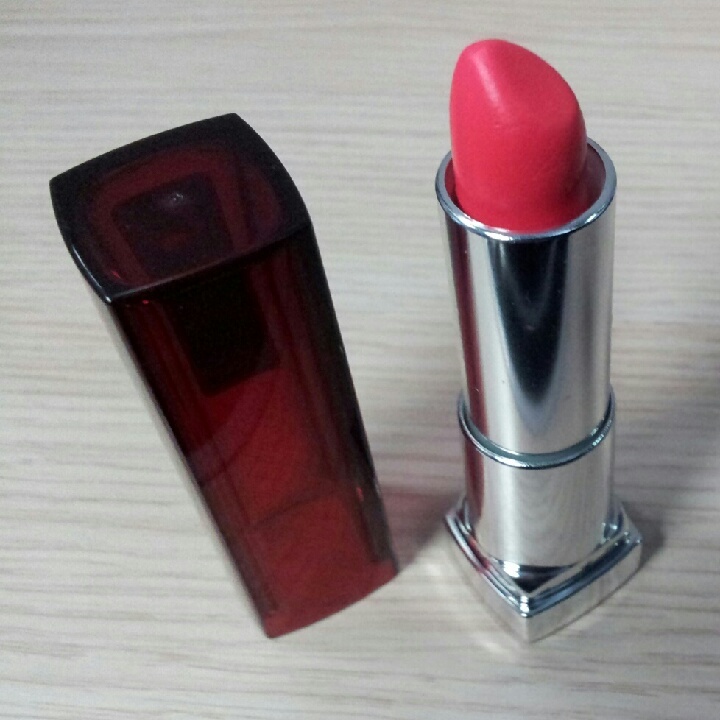 Following a recent Boots/ Superdrug payday splurge I ended up buying all the reds, pinks and nudes a girl could possibly wear… so I grabbed a coral lipstick as the ‘third’ product to make up the numbers in a 3 for 2 offer. This impulse purchase was to become my new favourite lip gloss/ stain/ balm. The stick glides over lips smoothly and is super-hydrating. If you let it dry/ absorb into lips for about 10 minutes before eating or drinking then you’ll find it has fantastic longevity, especially for a gloss-based product. The colour itself is really flattering on olive and darker brown skin in particular. The vibrancy of the shade really works with the natural brown in your skintone to give a colour-pop that is not garish and totally SFW. 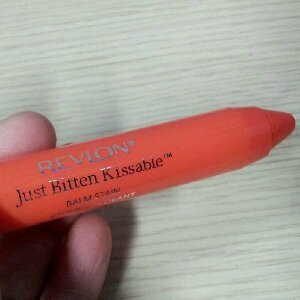 I wish I’d bought this sooner as it would have been on my lips for most of the summer. I’m still getting good wear out of it as I’m wearing it at work throughout Autumn as a softer alternative to my signature red lip. …that was the expectation, the reality was much simpler. 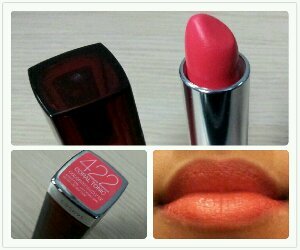 I just popped out to Boots the Chemist at lunchtime and picked up Maybelline Colour Sensational lip colour in shade 422 Coral Tonic (£7.29). This lipstick is vibrant, yet very wearable. 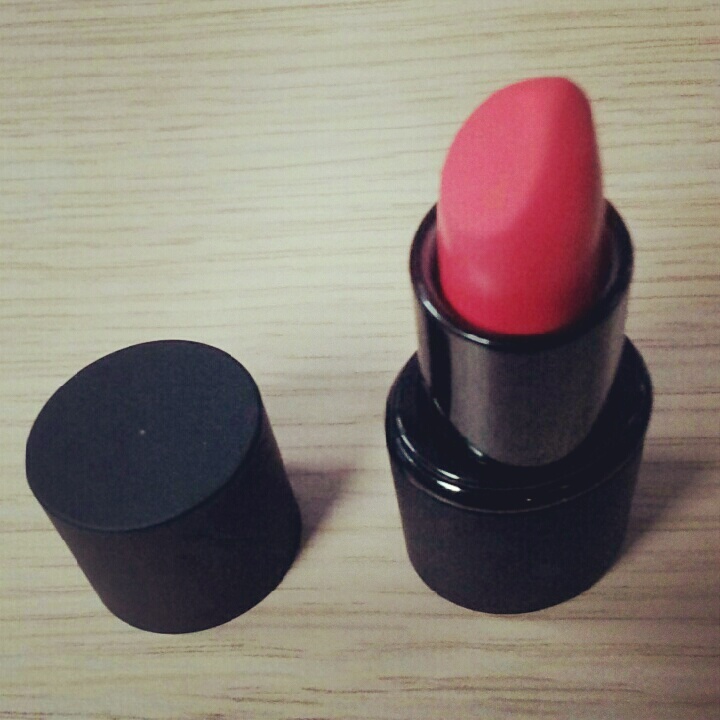 The formula itself is very high quality for a high street chemist lipstick. It can be applied straight from the bullet or with a lip brush (for longer lasting colour). I did need to re-apply during the day to keep the colour looking even. I do love how this is buildable colour. I started the day with a light wash of coral pressed into my lips with my finger. As the day went on, I topped up for a progressively stronger look. 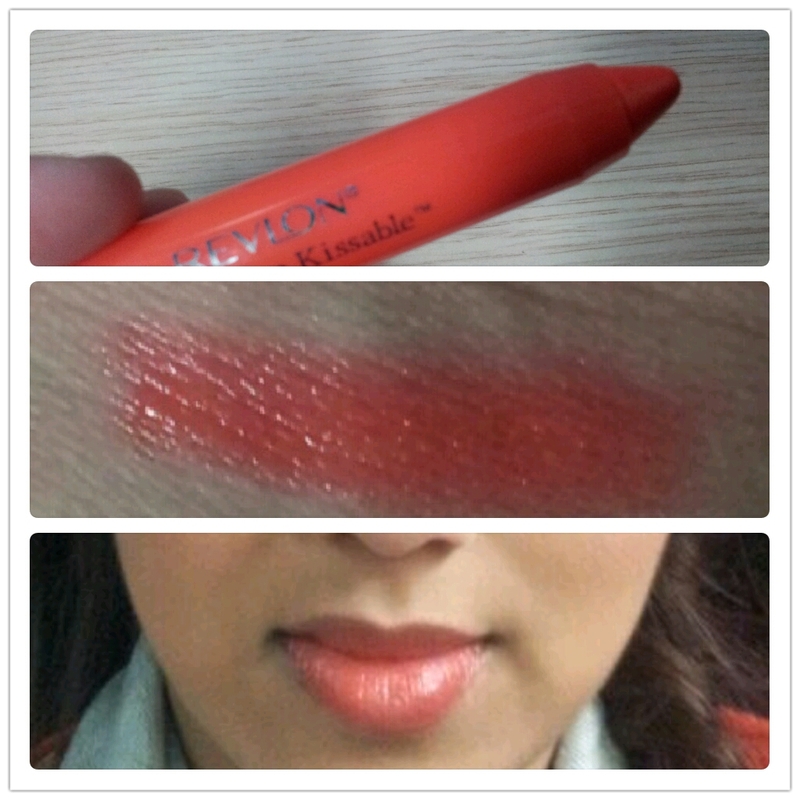 It’s not as hydrating as the Revlon stain balm but it does the job with minimal dryness after a few hours. It’s a good balance between matte and satin finish. It’s a light satin finish and so doesn’t look too ‘made-up’ for a day at the office. I’d bagged the stain/ gloss and the everyday satin lipstick. Two down, one to go. The following lunchtime I headed back to Superdrug to find the final item on my coral lip hit-list – the matte coral lipstick. Enter Sleek Makeup with their True Colour Lipstick in shade 782 Papaya Punch (a bargain at only £4). This is a highly pigmented, beautifully vibrant, matte lipstick. It is a bit full-on for everyday in the office but is an off-duty handbag favourite. So there you have it. A few weeks ago, I was a coral sceptic and now it’s my new lip love. Mission complete. 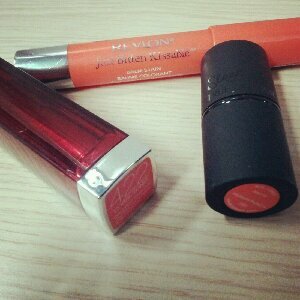 If you’ve never ventured into coral territory, a safe place to start is the Revlon lip stain balm. If you’ve tried and loved/ hated these, let me know in the comments below. 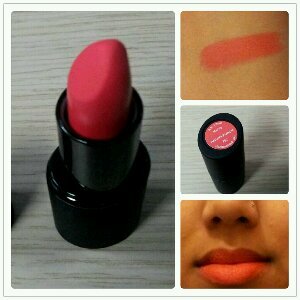 Leave a reply on "High street/ drugstore Coral Lipsticks"